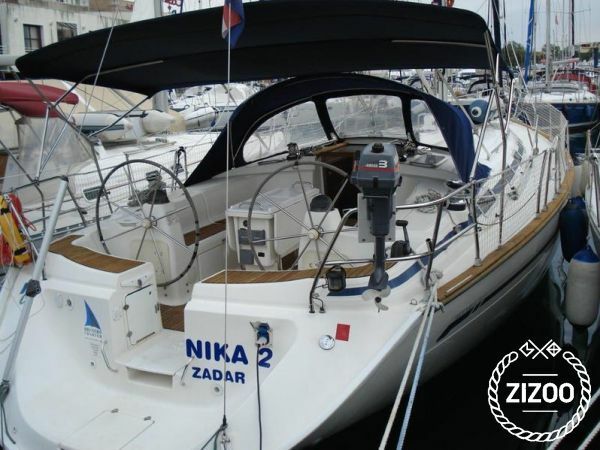 Because of her base in Marina Tankerkomerc in Zadar, Nika 2 can take you and your family, as well as friends on a real treasure hunt; some of the most precious natural jewels in the Adriatic are marked on her map. We know how treasure maps can be tricky (as can a shot of rum) - let us give you some hints: X Island Silba: the last pirate resort in the Adriatic X Island Olib: the most beautiful sandy beaches X Island Susak: natural phenomena, a sandy island X Island Zlarin: has a myriad of fig and cypress trees and other natural plants, but is most famous for its red corals. The 2002 Nika 2 is a luxury yacht, with a robust construction ensuring safe passage even in heavy weather conditions, giving you exceptional sailing performance every time. The transom and boarding platform equipped with swimming ladder, shower, bimini and sprayhood will ease your cruising. She offers luxurious accommodation in 4 cabins, with 8 berths, providing additional sleeping double accommodation in the saloon, making her a perfect fit for up to 10 people.